The American hip hop phenomenon Macklemore & Ryan Lewis has been added to the Danish festival’s line-up along with The Last Shadow Puppets, At the Drive-In and many more. Roskilde Festival is less than four months away, and the last pieces of a very diverse puzzle are being put together: the line-up already reveals everything from international superstars to the greatest Nordic talents – and everything in-between. With today’s additions, 74 acts have now been announced, and a whopping 101 acts will follow when the full line-up is revealed in the beginning of April. Stars like LCD Soundsystem, New Order, Red Hot Chili Peppers, PJ Harvey, Wiz Khalifa and Tenacious D already bear their name on the poster. They will be joined by the hugely popular Macklemore & Ryan Lewis, The Last Shadow Puppets and underground heroes At the Drive-In. Other additions include Danish art-poppers Choir of Young Believers and stars in the making such as Chinah and Emilie Ramirez. Seattle duo Macklemore & Ryan Lewis made quite an entrance on the American charts with single Can’t Hold Us before they became outright unstoppable with Same Love and Thrift Shop back in 2012, underlining their position as part of American hip hop’s elite. On the verge of their breakthrough, Macklemore and his beat smith Ryan Lewis played Roskilde Festival that very same year as one of the first festivals in Europe. Armed with a new album, fans can expect a tremendous show on the iconic Orange Stage. Having played his first show with Arctic Monkeys at Roskilde Festival a decade ago, Alex Turner is no stranger to the Danish festival. After conquering new fans with each visit, he will now return with supergroup The Last Shadow Puppets, featuring members of Simian Mobile Disco and The Rascals. Their new album will be out on 1 April. Each year, Roskilde Festival presents a wide array of Nordic starlets. Here, When Saints Go Machine, Vinnie Who and Lower have played to big audiences before making it big both nationally and internationally. In 2016, MØ, Blaue Blume and Choir of Young Believers will return to Roskilde Festival where they all played in the early stages of their careers. The latter enjoying much interest in new album Grasque, even more so after contributing the theme song for the massively popular TV show Broen (The Bridge). The festival’s Rising programme is dedicated to Nordic artists on the rise, and today’s additions include Danish trio Chinah, Norwegian pop hope Gundelach, Swedish rockers Sudakistan and Finland’s very own hard-to-pronounce Have You Ever Seen the Jane Fonda Aerobic VHS? Icelandic act Reykjavíkurdætur – the daughters of Reykjavík – is a 21 woman strong rap collective with a political agenda that is as relevant as it is fun with its energetic delivery. 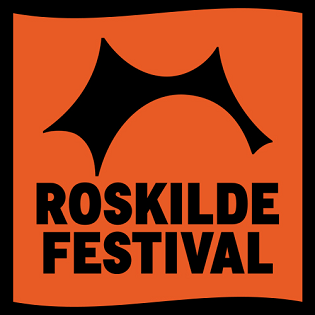 74 of 175 acts have now been announced for Roskilde Festival 2016. The full line-up will be revealed in the beginning of April.